Located on the eastern coast of Koh Samui, this pristine beach with turquoise water is definitely among the most beautiful beaches on the island, if not Thailand. I have to admit – for us it was love at first sight. We’ve visited almost all the beaches on Koh Samui (read more about other amazing beaches here) but none impressed us more than the Silver Beach and I’m going to tell you why. Don’t get me wrong, you’ll find people here but not that many compared to other places. Tourists in Koh Samui usually prefer beaches like Chaweng Beach or Bophut Beach because they are closer to the big cities and easily accessible. If you want to really have all the beach to yourself, wake up early and be there around 7am. Not a morning person? Then head towards the end of the beach for extra privacy. 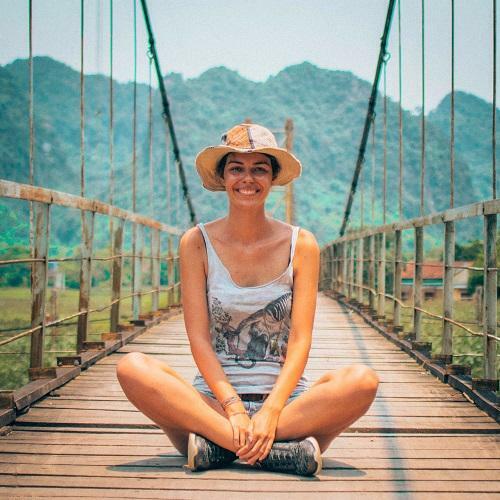 Read more about the best photography spots in Koh Samui here. The Silver Beach has the most incredible turquoise water I’ve ever seen! No matter how far you want to swim, you’ll always see your feet through the water -it’s that clean! Also, there are almost no waves here. Therefore, if you want to do some exercise and swim, this is the perfect place. 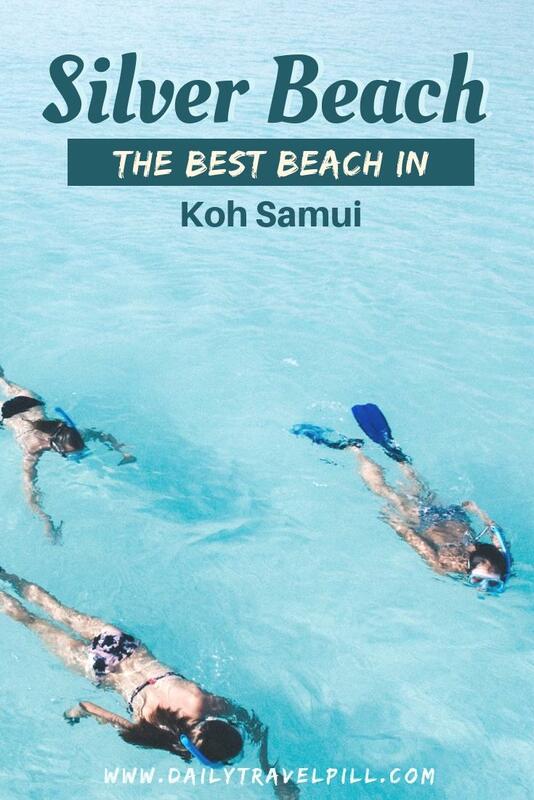 Check out the best beaches for swimming in Koh Samui here. Head towards the big rocks and you’ll find hundreds of different colorful fish. They are a bit shy, but they’ll come pretty close to say hi. The marine life here is just incredible! If you have snorkeling gear, don’t forget to bring it with you! In my opinion, Silver Beach is the best beach for snorkeling in Koh Samui. Also, if you have a Go Pro, buy one of those Go Pro Domes and take some amazing underwater pictures like the one below! 4. You can get a massage right on the beach! Feeling tense after all the swimming and sunbathing? Don’t worry, you can get a massage right on the beach shore, while admiring the sea view. I loved that the massage place is in a separate building so you won’t have to worry about seeing massage beds right on the beach. Also, the employees are really nice – they will never approach random tourists on the beach, trying to sell their services. 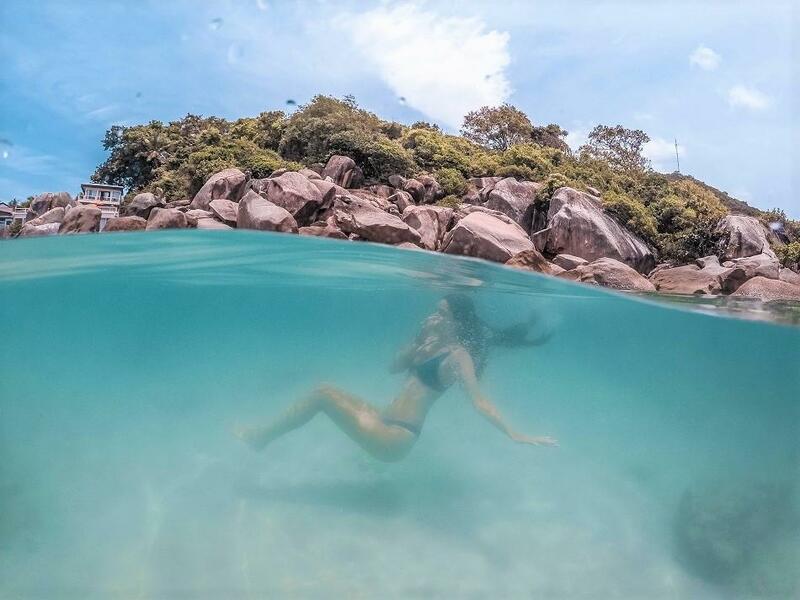 If you want to take a break from tanning and swimming, you can easily visit other amazing nearby attractions such as the lesser-known Overlap Stone, the amazing Na Muang Waterfall 2 or the famous Hin Ta and Hin Yai rocks. These are just a short drive away from the Silver Beach. If you plan on spending the whole day at the beach, you won’t have to worry! There is a restaurant right near it (you’ll actually have to go through it to get to the beach) with both local and international dishes. Although the prices are a bit higher than other restaurants, they are accessible and the food is great. Silver Beach is definitely a great place to bring your children with you. The water deepens gradually and the children can easily play at the shore. Some fish even get pretty close to the shore so it’s a great opportunity for children to learn more about the marine life! Silver Beach is definitely one of the family-friendly beaches in Koh Samui. 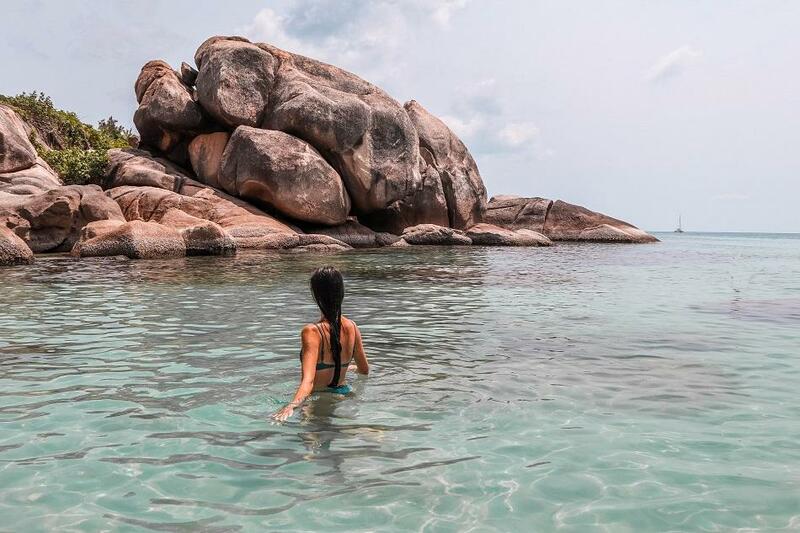 Read more about 8 amazing hidden gems in Koh Samui here. In Southeast Asia you will be asked to pay an entrance fee for almost anything, including beaches. You won’t have to worry about that at the Silver Beach or any other beach in Koh Samui – there are no entrance fees. Situated right on the Silver Beach, the Crystal Bay Beach Resort is combination between style and luxury. The sea view is incredible and they even have a pool, in case you are too lazy to take a few steps to the sea. Another resort situated right on the beach is Thongtakian Resort. Imagine waking up in the morning right on the beach shore, with a coffee in your hand! That’s the life I’m talking about! The best way to find this beach is to use Google Maps. Beware that the beach is not visible from the main road. Right where the beach should be you will see a parking spot with many scooters. Park there and then head to the restaurant near the parking spot. Go through the restaurant and you’ll get to the beach. If you’re not sure about how to get to Silver Beach, don’t hesitate to ask some locals – they will help you! If you’re wondering how to get to Silver Beach, I’ve got you covered. Below are a few transport options, depending on your budget and preferences. 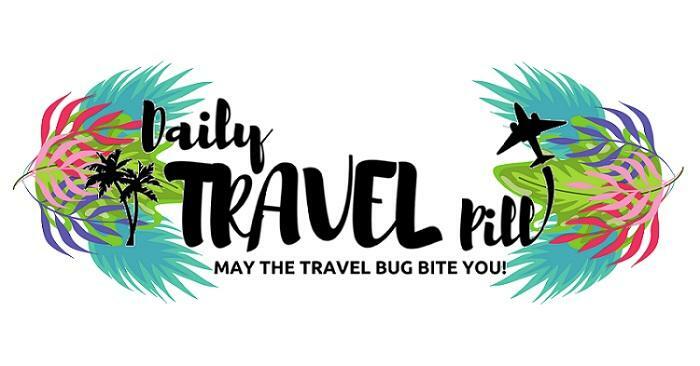 However, if you would like to read more about all the transport options in Koh Samui with prices, click here. Depending on where you are situated, getting to the Silver Beach can take 5 minutes or 1 hour. The easiest way to get around Koh Samui is to rent a scooter ($7-$8 per day). Having a scooter is convenient and affordable but if you’re not used to driving one, you can always rent a car or take a songthaew (more information below). 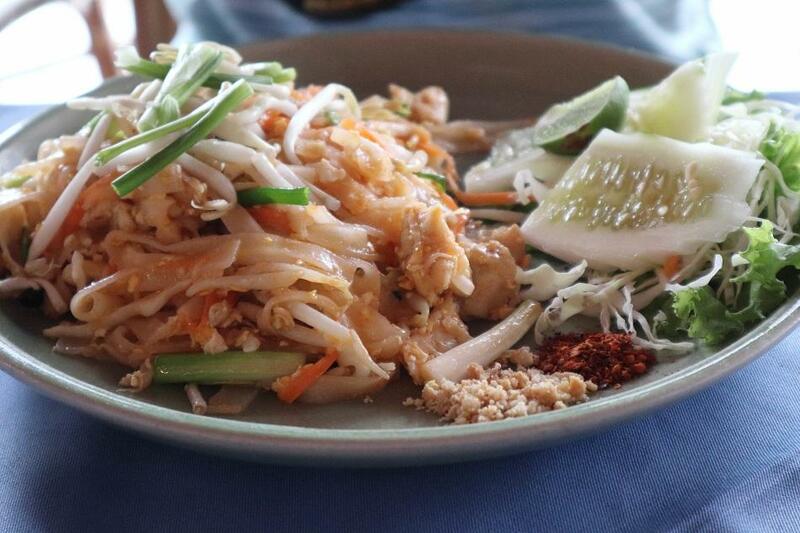 Another alternative is to try the local Thai songthaews. Trying these is a fun and authentic experience. Songthaews are similar to tuk-tuks, only bigger. They can accommodate more people and they work similar to buses. Although they don’t have predetermined stops, they stop whenever people flag them on the side of the road. In Koh Samui, you can find songthaews on the main ring road. Just go and wait for one to pass by. Flag it and tell the driver your destination. Getting around Koh Samui by car definitely takes less time and it’s a comfortable way to reach any tourist attraction. You can expect to pay somewhere between $25 and $35 per day for renting one. Check out this site for more information. For me, Silver Beach is the most beautiful beach on the island and I definitely recommend visiting it. Oh man, I am sold! Take me there right now! It sounds so wonderful and the pictures are beautiful. 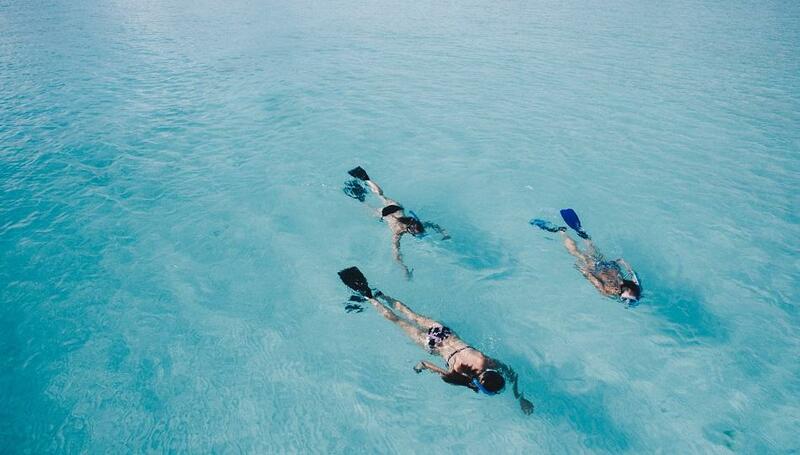 I love the beach so much and snorkeling is one of my very favorite things to do. When I get to Thailand, I will go here for sure!